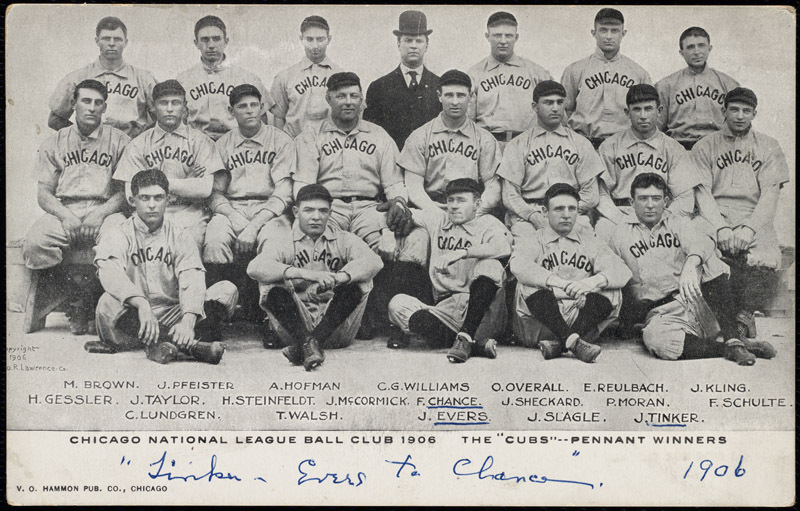 Set to defend their first MLB title since 1908, the Chicago Cubs have stepped off cloud nine and back onto terra firma to begin their quest for a 2nd title-in-tandem (1907-08) by taking to spring training in their longtime Arizona locale. Success has a way of opening passage ways in the mind heretofore unexplored and the Cubs brains must be booty-laden with new discoveries. Not likely, though, that franchise history is big on their brains, not since their World Series win over the Indians (4-3) and subsequent victory parade that wove its way through the Windy City last November. What else is not on the Cubs’ brains is pre-season predictions. 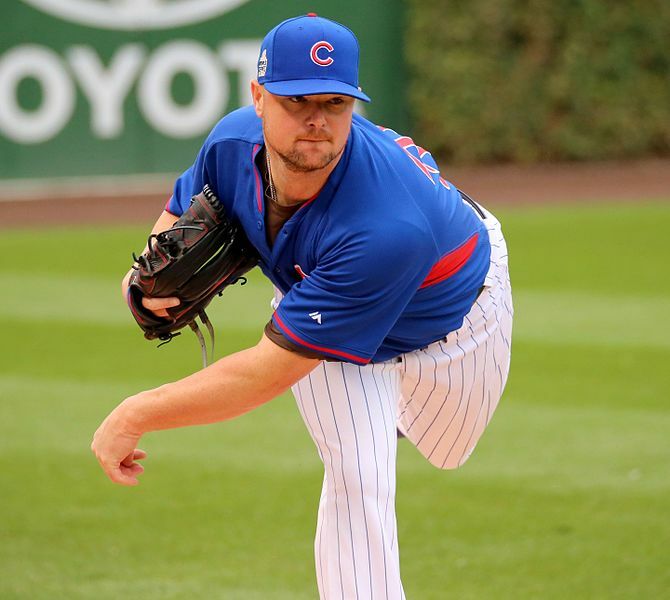 Spring training will trigger in the mind of baseball writers a slew of topics to typically include new roster additions, departures and the all important pitching rotation with ancillary arms in relief included. To those media who matriculate in the sabrmetric school, the last degrees of winter and early buds of spring will always lead to, ta-da, the ranking, i.e., ‘Who‘s #1?’ It’s click-bait and best served when the entrée has cooled down (all-time greats) and won’t burn the palate with rank predictions. Almost any other March in any other year the question of who is baseball’s pre-season best would be a small curiosity. But if you have to ask ‘who’ in this particular spring (See; Cubs), even in rhetoric, you may be better suited to the mock draft department, all leagues and associations, where the minutia of musings on the ephemeralia of college hopefuls never ends, if you can find a seat. Crowded in there. It can’t be denied that the legion of Bruins fans numbering more than the ancient Roman and Yankees empires combined, coupled with story-driven media, will be, on regular occasion, reveling this season in that long, glorious Cubs chronicle of great teams and players, right up until the present version take to the post-season in hunt for that dynasty-affirming, fairly elusive, back-to-back World Series win (See; SF, LAA, LAD, KC, PIT, MIN, CHW, STL, BAL, etc.). The Cubbies have hit, pitched, fielded and run those bases all the way back to elite status, making it entirely appropriate now to take those moth-balled memories, some sweet, some bitter, out of storage to put on display to keep reminding us from where we came and then where we hope to go. Feeling Western baseball was getting the high-hat treatment from Eastern snobs, Chicagoan William Hulbert (1832 – 82) founded and, after its initial campaign (1876), assumed presidency of both the White Stockings (Cubs) and the National League, holding the fledgling 8-team organization together through its toughest times in bravely tackling issues in game-fixing and scheduling indifference by banishing offenders, and corralling destabilizing players on the money chase in instituting movement restrictions, i.e., the first reserve clause. 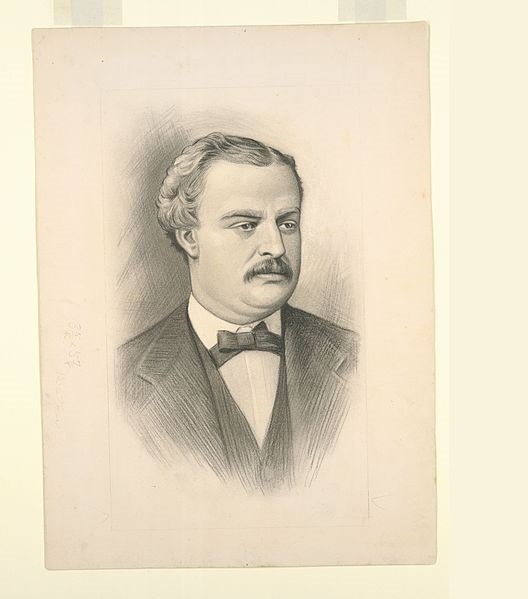 When recounting the history of the National League Chicago baseball club (1876), first known as the White Stockings, then Colts, Orphans and today’s Cubs, or for that matter the chronicle of major league baseball itself, it begins with Adrian “Cap” Anson, the profession’s early notable batsman, manager and personality. His numbers, no matter disingenuous efforts by contemporary sabrmetric tinkers & twiddlers to deplete, do remain, as his tenure (1871 – 1898), stellar benchmarks (1939 (HoF)) for baseball hopefuls. Noteworthy in Anson’s career is having managed the Stocks to five (5) championships in seven seasons (1880-86), the major’s first dynasty. That’s championships, NOT pennants, for where there’s one pennant-winner in a season there necessarily must be an opposite organization with their own flag-waver, both of whom meet in an official, culminatory contest. And when a team does all that the schedule permits, even with no money-grab playoff or opposite League face-off (which is no perfect test, anyway (See; Cubs 1906 & Pats 2007-08)), and compiles the best record of the assemblage (8), THAT is a championship as worthy as any World Series won in 2017. Those achievements would tarnish after his death (1922) as Cap’s role in setting the color barrier, in particular the ban of Fleet Walker, the first American black player to roster in the majors (Toledo 1883-84). 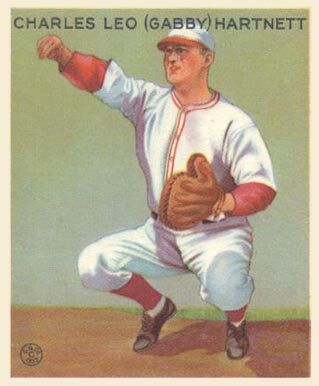 Though his stance is of record, Anson’s impact is much debated. Of no debate is that no Caucasian of note, in sport or politics, called to break the ban until Mr. Rickey, testament that we are a product of our times. Do we then strike all names from MLB annals pre-1947? What thinkers had done since Gutenberg’s press was to balance the good against bad, expecting that Anson today would regret his greed. And given that the mass of sport media in 2017 would enshrine misdeeders Clemens & Bonds if given the chance, striking such a balance should come easy. Former Braves championship manager (x5) shaped the Cubs’ roster that would, under Frank Chance’s leadership, gel into the greatest team in baseball history. Jack Pfiester, King Cole & outfielder Jack McCarthy who in facing the Pirates on 4.26.05, threw-out three baserunners at homeplate to set a major-league mark. Though falling to the Speaker – Ruth – Red Sox, the Bruins scored more runs and fashioned a lower team ERA than the Beaneaters. 1921 – 22: Bill Wrigley acquires majority holding in the Cubs while in 1922 first-bagger Ray Grimes sets the consecutive-game RBI streak at 17 and selective batsman Charles Hollocher whiffs a mere five (5) times in 592 at-bats. With the 1938 season closing and Pirates clinging to 1st place, the leaders headed to neck-breather Chicago for a key 3-game clash where catcher Charles “Gabby” Hartnett won G2 on a thrill by clouting a 9th inning tator at twilight (gloaming (Scottish)), inspiring his Cubs to sweep that series and St. Louis to grab the flag. Sadly for the Faithful, inspiration waned as the Yanks swept Chicago in four. I met the great Ernie Banks in his baseball gloaming, aka, twilight (Are you paying attention? ), in the summer of 1971, not long after he’d retired from the game and was holding a signing for his new book titled, Mr. Cub, on the sidewalk outside a store in my suburban Chicago town of Glencoe. My parents provided well for me and my five siblings, always top Christmas and birthday gifts, but getting a toy or $15 (?) book on short notice off-holiday was out of the question. I’d eventually get Ernie’s book, still have it, but not until the next year. So, I being 9 yrs old, wanting his autograph, a bit bold but lacking in full discretion, asked Banks for his signature on my Mickey Mantle Rawlings® ball glove. The legend obliged, sans that signature smile. But I, not satisfied (‘Hey, hey, let’s (get) two!’), put an ever-so-small piece of paper no bigger than a JFK 50 cent piece, onto the table for another mark. 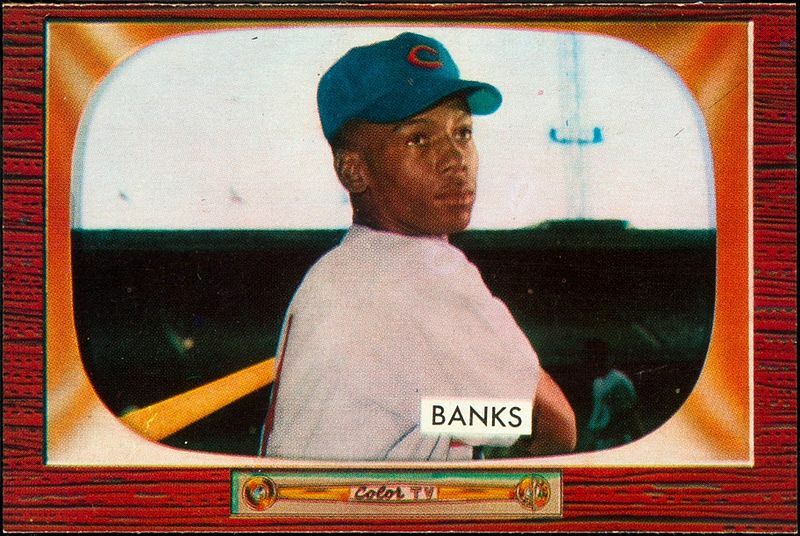 Well, Ernie Banks was not pleased, not pleased at all. But I was pleased as punch and skedaddled home. I lost that scrap signature but still will with regularity gaze and smile upon the Mantle glove with Banks name in green-felt pen. Thanks, Mr. Cub. Were he alive today he’d be 75 (12.23.41), but promising young 2nd bagger Ken Hubbs, whose slick field and capable bat won him a gold glove and 1962 ROY honors, along with his small aircraft passenger Dennis Doyle, both tragically died in plane crash near Provo, Utah on February 13, 1964 enroute to Doyle’s home and wife who’d recently given birth, in Colton, California. 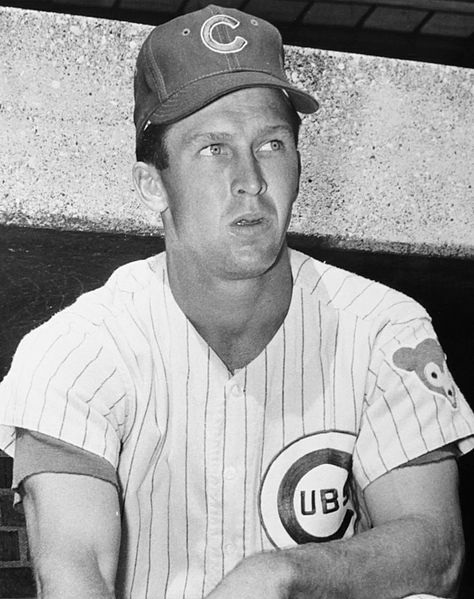 Leo “The Lip,” who’d rostered with Murderers’ Row (‘28-9), Gashouse Gang (34), guided the Bums to a flag (41), Giants to glory (54) and then returned the sorry Cubs back to respectability, takes most the flak for their late season swoon in 1969 when their All-Star laden squad appeared headed to their first World Series in almost a quarter century. And poppycock to that. Durocher gets his share, of course, but cry-babies and clueless vets must bear most the burden for the old man. Those of us who remember (I was just a gerbil then, but I do recall Gramps telling me, ‘Hey Steve, Kessinger went 4-for-4 yesterday!) point no fingers but form a half-smile at what might’ve been and the joy that was. It seemed to come outta’ nowhere, the super and ultimately sad season of 1984. If ‘Big Brother’ was watching he must’ve had a good laugh on us Chicago Cubs fans, with unexpected help from corporate Commissioner and Evanston native, Peter Ueberroth who saw fit to give 2nd best NL record-holders but nite-game capable, the San Diego Padres, home field which proved decisive in the short series (3-2). The Cubs were sunshine supermen in G1 (13-0) and G2 (4-2), then should-be HOF’er Steve Garvey and electee (07), Tony Gwynn took control for San Diego, frustrating the Northsiders and their fans once more. Call it reasonable fan interference, meaning, Steve Bartman wasn’t obliged to remain seated with 1) real chance of being hit by a foul ball, and 2) expectation no Cubs player could’ve snagged it. As such, no ejection. But because Alou did have a chance to grab the wall-straddling foul-ball, hence his protest, umpires were obliged to call fan interference yet cowered from their duty in not charging the out to eventual rally team, Florida. But Cubs were 88-74 in 2003, making fans unbridled expectations unreasonable and the outcome digestible. 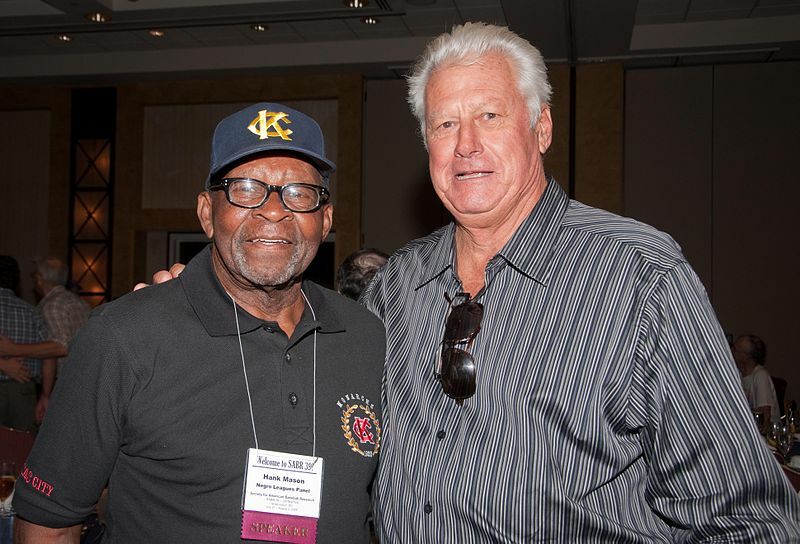 Dallas had a certain touch in managing (PHI ‘80 WS) and generaling (CHC ‘84, 89), but Theo Epstein & Joe Maddon have a clobber between ‘em, like in that Weavers’ song (♫ If I had a hammer…♫), forging winners like a blacksmith did a wheel frame for proper strength and balance in the long journey. Yee-hah!